Weekend bonus differs little from weekly bonus. The difference is that it is given on weekends and not on weekdays but the rest is the same: you will get a certain amount on a percentage basis up to a certain sum. Every weekend the gamblers are offered to take advantage of a weekend bonus to play online casino games. 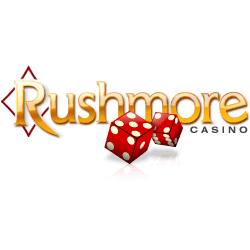 They make a deposit and fill in the bonus coupon code in Cashier section of the online casino or turn to customer support to claim the bonus they have chosen. Each casino offered below has weekend promotions and you can read the details of the bonus having followed the links in the column Claim. Note that not all the games count towards the bonus so you have to check beforehand whether you will be able to play the game you want to play with bonus money. If you play the restricted game with bonus money, all your winnings will be void. Another thing you need to keep in mind before claiming the bonus is that it cannot be combined with any other bonus. Plus the weekend bonus cannot be withdrawn and is for playing purposes only. If you use the bonus, you need to remember that to cash out the winnings you are to comply with wagering requirements imposed on the bonus. The table below furnishes the wagering requirements for every casino. To understand how to deal with wagering requirements you can go to Weekly Bonus page and find the explanation there.